There's a chemical arms race underway in the desert along the U.S.-Mexico border. But rather than pitting two armies, it’s a showdown between a highly venomous scorpion and a particularly ferocious mouse. Research into how the scorpion’s sting became so powerful, and how the mouse tolerates it, may one day change the way that doctors treat pain in people. 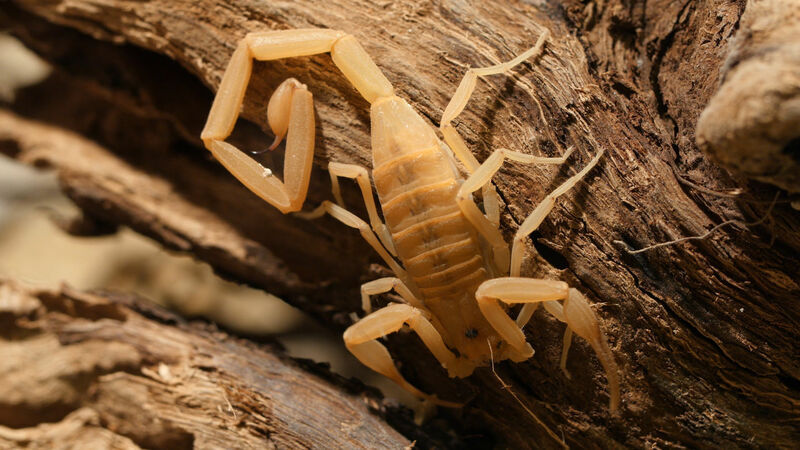 Commonly found in the Sonoran Desert, the Arizona bark scorpion (Centruroides sculpturatus) is the most dangerous scorpion in the continental United States. 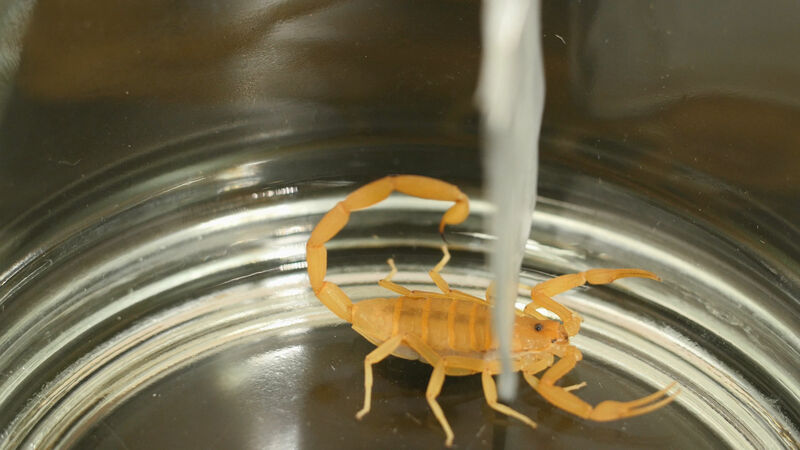 According to Keith Boesen, Director of the Arizona Poison & Drug Information Center, about 15,000 Americans report being stung by scorpions every year in the U.S. The worst stings, about 200 annually, are attributed to this one species. Its sting can cause sharp pain along with tingling, swelling, numbness, dizziness, shortness of breath, muscular convulsions, involuntary eye movements, coughing and vomiting. Children under two years old are especially vulnerable. Since 2000, three human deaths have been attributed to the Arizona bark scorpion in the United States, all within Arizona. Lauren Esposito, assistant curator and chair of arachnology at the California Academy of Sciences in San Francisco, is studying the genes responsible for the scorpion’s powerful sting. Scorpions are predators, using their pincers to grasp their prey—typically insects and other invertebrates—while the stinger incapacitates them. The sting does double duty as a painful deterrent to other predators that would like to eat the scorpion. To deal with a variety of targets, the scorpion produces a cocktail of toxins made to harm a wide range of animals. 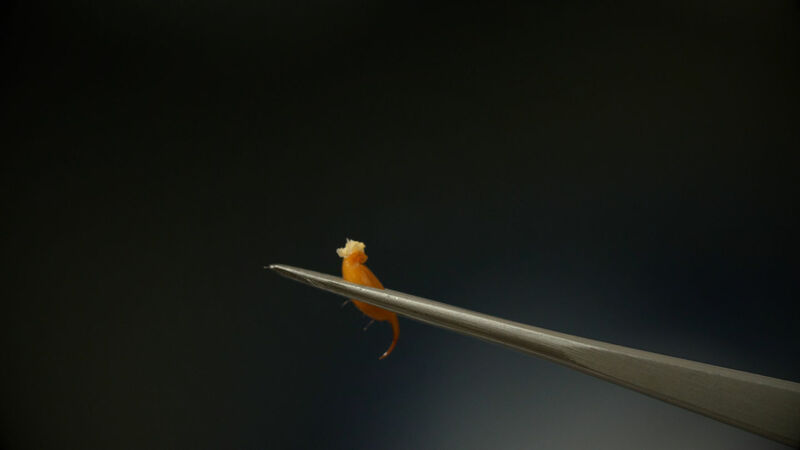 Esposito’s first step to studying how the the scorpion produces such potent venom is to “milk” the scorpions by carefully coaxing them to sting a piece of wax paper in the lab. Every time the scorpion stings a target, genes in the stinger activate to induce the production of more venom. But there is one unlikely creature that appears unimpressed. While it may not look the part, the Southern grasshopper mouse (Onychomys torridus) is an extremely capable hunter. It fearlessly stalks and devours any beetles or grasshoppers that have the misfortune to cross its path. 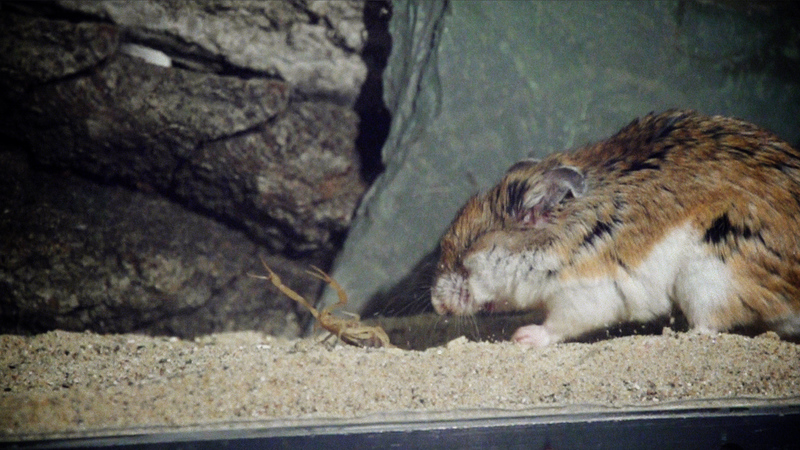 But this mouse has a particular taste for scorpions. At Michigan State University, Ashlee Rowe studies this evolutionary predator-prey relationship, particularly the way the mice can come away unharmed. Rowe’s lab studies the mouse’s hunting technique and the way the scorpion venom acts within the mouse. 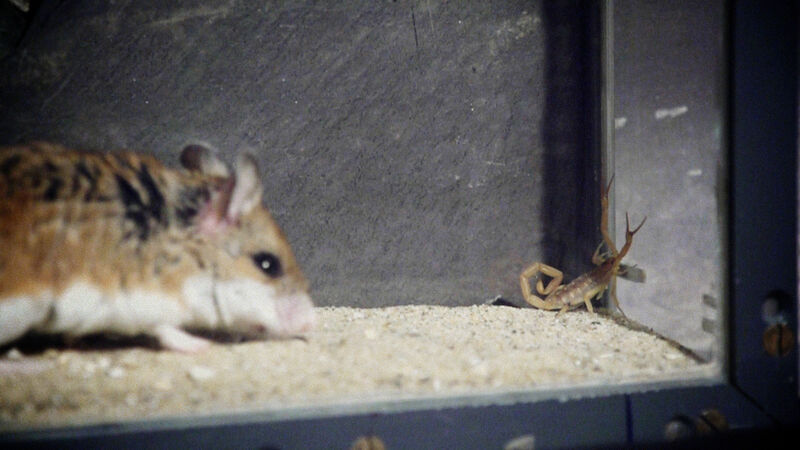 Rowe and her team filmed grasshopper mice hunting the scorpions in a controlled setting. “If you see them attack, they are incredibly aggressive, especially if they’re hungry,” she said. The scorpion venom contains neurotoxins that target sodium and potassium ion channels, proteins embedded within the surface of the nerve and muscle cells that play an important role in regulating the sensation of pain. Activating these channels sends signals down the nerves to the brain. That’s what causes the excruciating pain that human victims have described as the feeling like getting jabbed with a hot needle. Others compare the pain to an electric shock. But the grasshopper mouse has an entirely different reaction when stung. Within the mouse, a special protein in one of the sodium ion channels binds to the scorpion’s neurotoxin. Once bound, the neurotoxin is unable to activate the sodium ion channel and send the pain signal. Instead it has the entirely opposite effect. It shuts down the channel, keeping it from sending any signals, which has a numbing effect for the mouse. And that is what makes the grasshopper mouse such an interesting research subject, she said. The hope is that unlocking the grasshopper mouse’s mechanisms of tolerating the scorpion’s venom might one day help scientists learn to make more precise forms of painkillers for humans.